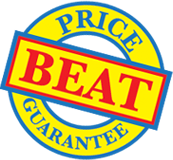 Metal hinged binding rings backed by our Price Beat Guarantee. 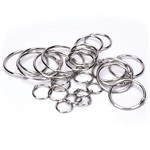 Whenever you need a fast tough application for holding things together, these metal hinged binding rings could be the answer. Easy to use yet the strong hinge action prevents unintended opening. Six diameters from 13mm up to 75mm available ex-stock suit a variety of applications. Use for show cards, swing cards, sample swatches, point-of-sale applications, filing rings or flip charts or any application where one thing needs attaching securely to another.